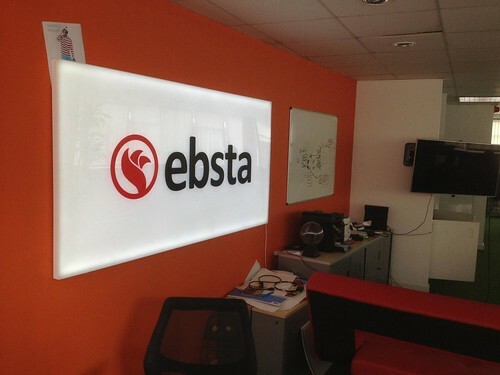 App integrator Ebsta knows a thing or two about building relationships; it’s what they do. Much like its CRM technologies enable businesses to take a holistic, multi-faceted look at their customer base, Ebsta has made a concerted decision to choose San Diego over other regions such as Silicon Valley for a myriad of reasons. Headquartered in London, Ebsta commands a presence of more than 30,000 users and over 7,000 companies drive Salesforce adoption with its products, including Amazon, Evernote, and Lenovo. While in London this past week, members from the San Diego delegation visited with Ebsta, and many other companies with strong San Diego ties, in order to learn about how San Diego can support its international success. The demand for its product is growing fast, and as Ebsta looks to add to its 15 person team, they have made it clear that they are looking to do so stateside – potentially running the entire commercial business out of San Diego. Beyond the region’s depth of talent resources, British Airways’ direct flight to London has allowed Ebsta to seamlessly run operations on two separate continents. Additionally, while many companies would view the time difference as an operational red flag, particularly for a small company, Peters doesn’t quite see it that way. “The SMEs that thrive are the ones that adopt a global mindset. Not only do our two locations allow us to increase our operational hours, but they give us increased market entry points and access to potential capital, ” said Peters. Ebsta’s investment in San Diego provides a prevailing example of how foreign direct investment (FDI) can benefit cities and regions. These companies invest more in innovation, making them a magnet for capital. While FDI is responsible for 5 percent of employment in the San Diego region, it accounts for nearly 19 percent of corporate R&D and 15 percent of capital investment. As the second largest investors in San Diego, London plays a key role in our region’s long-term economic strategy. London-based companies and investments are responsible for more than 5,900 jobs in our region. Along with Ebsta, some other London-based companies with operations in San Diego include BAE Systems, Cobham, GlaxoSmithKline and Mirum. Despite the pressure on new tech startups to invest in legacy tech hubs, Ebsta knows the proof is in the pudding; San Diego offers an innovative, vibrant atmosphere that few other places can match.